Galaxy ACE 4 CM13 (CyanogenMod 13, G313h) Marshmallow ROM is an unofficial build brought to you by developer doesntexits. This is a BETA status ROM which have minor BUGs and hence, please take a backup using a synchronization application or using Samsung Smart Switch or if you have TWRP installed then boot into TWRP recovery and take a NANDROID backup using the TWRP itself before flashing this ROM. – If you already have a custom recovery then to flash this TWRP, follow this guide: How to flash TWRP using another custom recovery. Make sure that you have a custom recovery installed on your Galaxy ACE 4. If not then download the recovery from above downloads section and you can follow this TWRP recovery installation on Samsung phone using ODIN guide. Download and Copy the GApps and Galaxy ACE 4 CyanogenMod 13 ROM ZIP to your phone. Reboot and Enjoy the CyanogenMod 13 Marshmallow ROM on your Galaxy ACE 4. 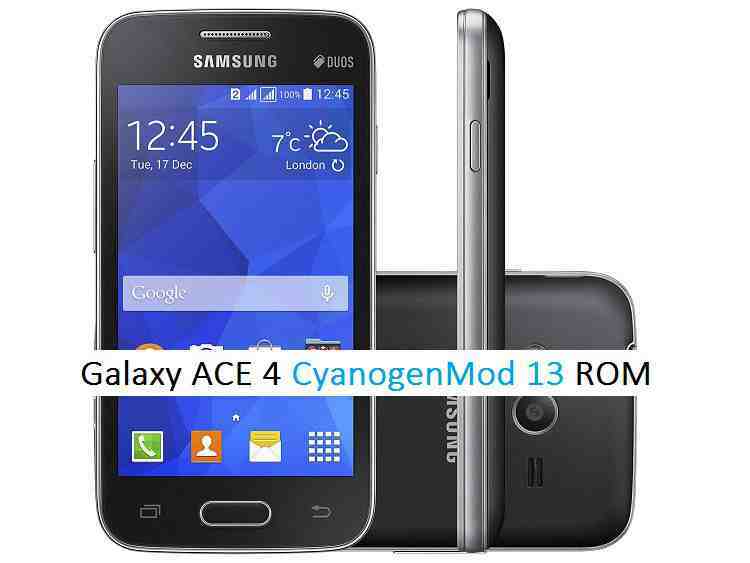 Copy the latest Galaxy ACE 4 CyanogenMod 13 ROM ZIP file to your phone. Stay tuned or Subscribe to the Samsung Galaxy ACE 4 (G313h) forum For upcoming Android Nougat ROMs, CyanogenMod Custom ROMs, other ROMs and all other device specific topics.